This is not a war of flagships, but the debate is all about what smartphone features we can expect this year, and how they should actually evolve. Last year, the Galaxy Note 8 came with a dual camera setup, with both the sensors optically stabilized along with an Iris Scanner; It was a big deal, but iPhone X’s Face-ID seems to be what many users would expect. However, in terms of camera, Google’s Pixel 2 shut everyone’s mouth with its machine learning traits and showed how the phone can do a better job than using more expensive hardware [like 2 cameras on the rear side]. So, what’s next in 2018 smartphones? What should we expect at MWC & IFA? Well, these are the top 5 smartphone features you can expect in 2018. Last year, AI was one of the hottest topics of discussion, and with the introduction of Google Assistant, several other OEMs revealed their AI-based personal digital assistants, Samsung was one of the first brands to come up with their own AI-based virtual assistant named Bixby. Bixby could do any tasks for you, it can also pull up information and much more. However, the use of Bixby was quite limited and not something that we expected from a brand that has the presence all over the world. While Google Assistant mostly concentrate on managing core Google services and doing simple tasks like calling someone or sending a text or checking the weather, Bixby can also do a bit complicated tricks like posting a specific picture from gallery to certain social media platform with the voice commands, or even capture photos under specified situations and more. Recently, the Honor View 10 was announced and Huawei has claimed that the Kirin 970 AI-powered chipset will optimize the device and learn from usage habits. 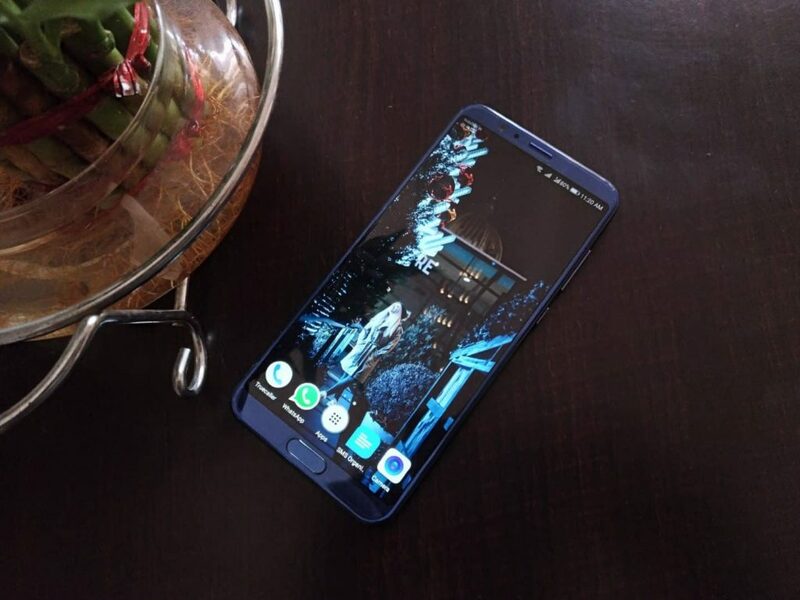 Though I’m particularly interested in trying the Honor V10 out, really haven’t been able to test it yet, but my colleague has already posted on his opinion and you can check his Honor V10 review. So, in 2018, AI will again be a hot topic, and as usual, other OEMs will also follow the same trend as Huawei and Apple and incorporates the NPU in their chipsets. Already, Samsung has announced its next flagship chipset, Exynos 9 series – 9810 which has deep learning capabilities. It’s not yet confirmed whether MediaTek and Qualcomm are following up with this feature, but in order to be in the competition, the other brands which use the chipsets from Qualcomm and MediaTek may force the chipset makers to include the NPU. We can hope that these chipsets will have the ability to stay active in the background, powering the AI to sense everything, from notifications to phone’s state, observing users’ activities to suggest the social media to-do list maybe? Or what about the idea of pulling up data from the emails, social media and contacts to cross match and save all your friends’ details in contacts book? In 2017, Samsung’s Galaxy S8 and S8+ came with a jaw-dropping display with 18:9 aspect ratio and soon many other manufacturers followed it. But Samsung made quite a bigger impact with the dual curved display, providing almost bezel-less experience. Google has also been in favor of the 18:9 aspect ratio display, telling developers that they should optimize their apps for the given aspect ratio or else they may get left behind. However, a true bezel-less display may not be arriving anytime soon, but believe it or not, Samsung is already working hard on a set of display types including a truly bezel-less display, foldable display and dual display panels for front and rear. 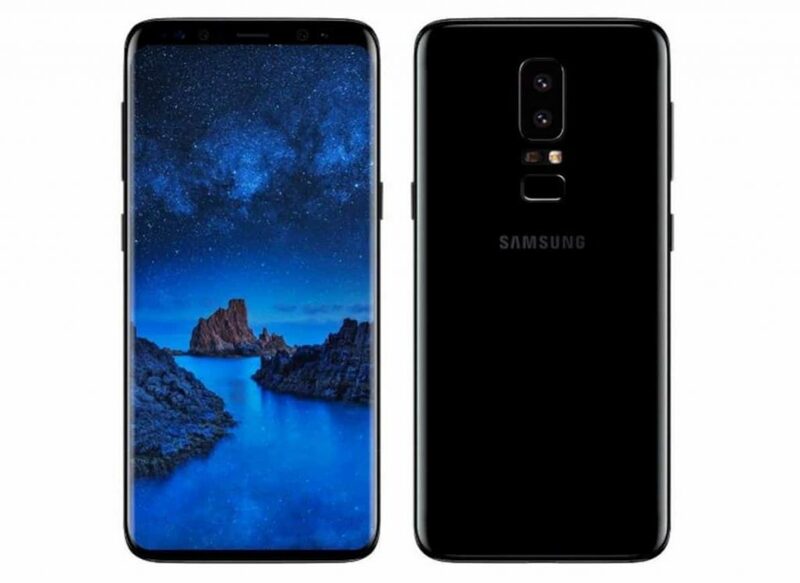 Starting off with Samsung’s Galaxy S9, we may see some improvements and lack of bezels when the Galaxy S9 is launched, in February. Also, it is rumored that Galaxy X, the foldable phone from Samsung is set to unveil in December this year, but it would cost more than expected. Also, as the on-screen fingerprint reader is no longer an unimaginable feat thanks to Synaptics, we can see Samsung to try it out in their Galaxy X and provide a true bezel-less experience. Earlier, The Verge reported that the first phone with onscreen fingerprint recognition will come in Vivo, the Chinese smartphone maker owned by BBK Electronics. 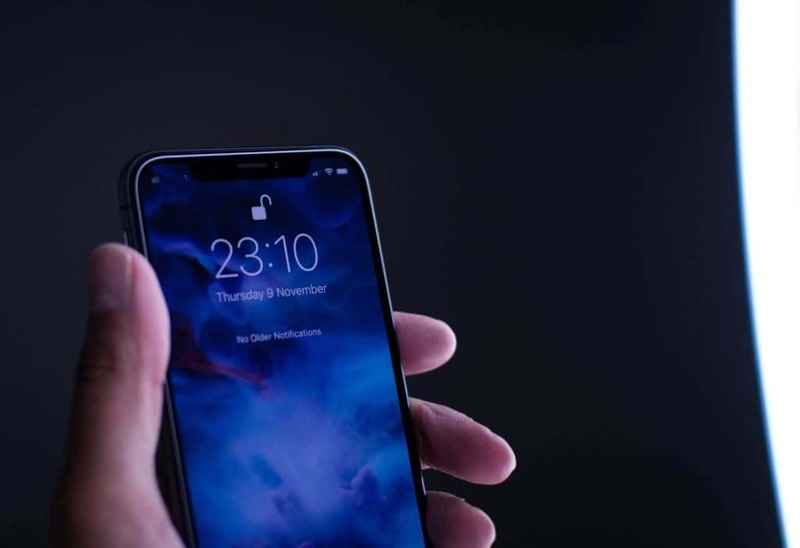 Synaptics, the company responsible for handling the touch input on millions of laptop trackpads and smartphone screens has claimed that the onscreen fingerprint scanner is twice as fast when compared to Apple’s Face ID. 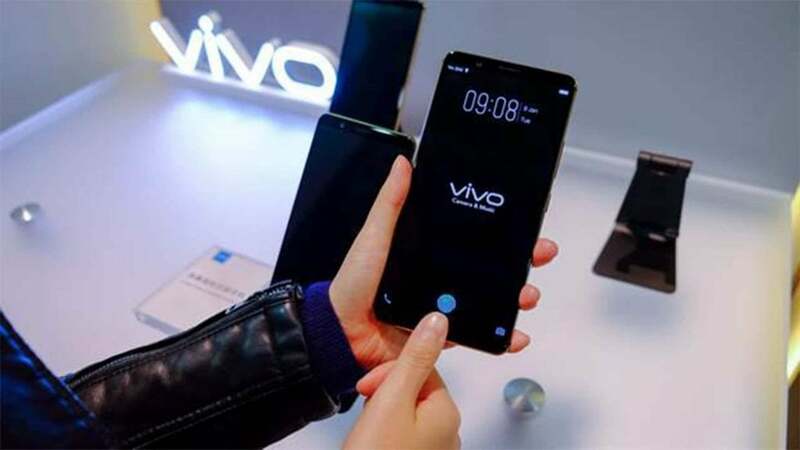 Vivo also showcased a Qualcomm-powered fingerprint-sensing display prototype using an ultrasonic digital sensor, however, it was said to be quite slow. So, they left that technology and partnered with Synaptics to reveal a smartphone that has fingerprint reader under the display and is powered by Optical recognition technology. Finally, at CES 2018, Vivo showcased Vivo X20 Plus UD, which is supposedly the world’s first smartphone to have an on-screen fingerprint sensor. Based on a couple of reviews, the reader was not as fast, but as you know, it’s just a beginning. Sooner, may OEMs will further adopt the same technology on their flagships and provide a true-bezel-less experience. However, it’s not sure whether Apple would adopt this, as it has already ditched the Fingerprint Recognition completely and replaced it with Face ID. 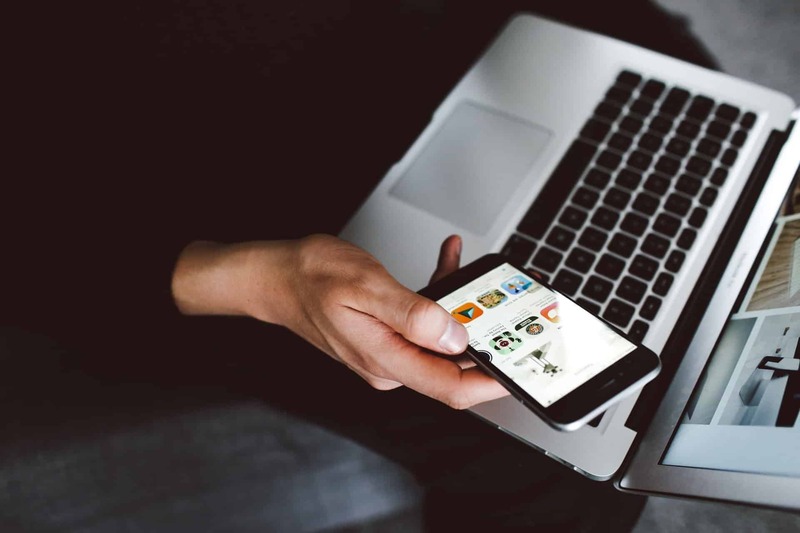 Smartphone security has always been a number 1 factor for smartphone makers to work on. If you remember, all smartphones security started with a PIN to unlock the device. But now, every major smartphone brand is coming with fingerprint scanning, facial recognition, and Iris Scanning. So, in 2018 smartphones, you can expect even better smartphone security, thanks to AI. Apple was the first to incorporate deep learning into their camera sensors for facial recognition to unlock the screen. The iPhone X’s sensors on the front would keep on learning the changes in the face [like beard, mustache, etc.] and would get adapt to it, giving you the total flexibility and make you unlock the device securely. But, it is proved to be hackable. So, in 2018 smartphones, you can expect better learning techniques getting adopted to recognize your face, and I believe this time unlocking the iPhone would be as fast as in OnePlus 5T. Also, as already told about the on-screen fingerprint recognition, several OEMs are already researching how they can make it faster, and more secure. As Galaxy S9 and S9+ would feature a deep learning chipset, you can expect the Iris scanning to be more accurate and secure. Last year was a big year for Indians as Jio provided free 4G everywhere in India, and which further helped to increase the 4G smartphone sales, but this year is all about 5G in India. Not just here, and it’s everywhere. 5G has been under testing for a decade now, and mobile users could finally witness this communication technology in 2018. All over the world, the telecom companies would start adopting this, and yes, 2018 smartphone features 5G technology for networking, and there’s no doubt in it. Nokia, one of the pioneers in the 5G network has been collaborating with renowned telecom operators around the world to make 5G a reality. Sooner, you’ll see Qualcomm and MediaTek adopting this in their chipsets and would result in a smartphone that could support 5G network. Coming to the connectivity, Bluetooth 5 would go mainstream, and in 2018, there’ll be wider smartphones to feature this technology. As 5G is about to roll, and Bluetooth 5 is getting adopted, we can see an increase in IoT technology in mobiles. Well, these are the 5 smartphone features we can expect in 2018 smartphones, and things may further delay depending on how far the OEMs research got success. Nevertheless, we will remember 2018 as the year of AI and IoT.